Interested in Studying at the KCDC? Are you passionate about design and the urban environment? Does the city excite you? Are you or are you going to be a graduate student in the area of architecture and urban planning? If so, studying at the Kansas City Design Center may be a good fit for you. As of 2015, admission to KCDC is open to all universities nationwide. 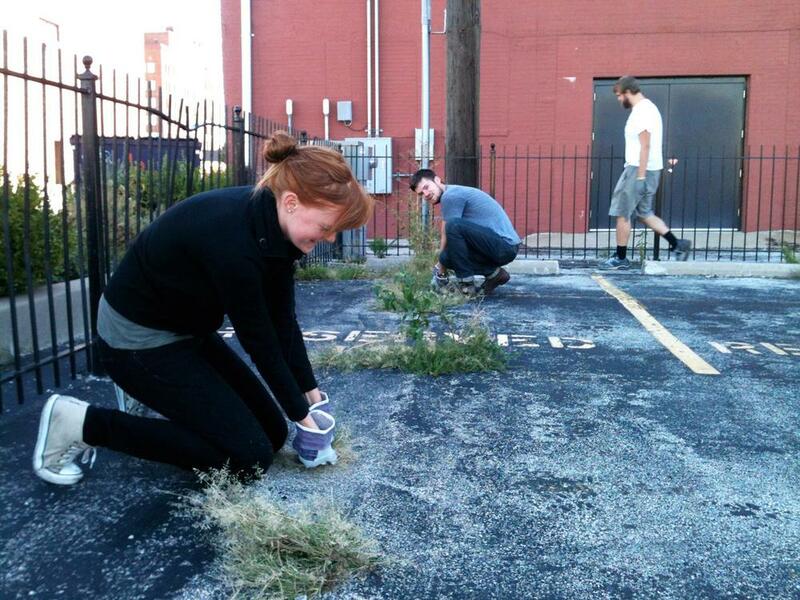 The KCDC program centers on a graduate level, year-long resident urban design studio, which operates as an immersive design laboratory focused on Kansas City. The studio addresses critical issues that intersect community needs and cutting edge urban design theory and applied practice. Projects are strategically selected and developed in collaboration with the city and various community and professional organizations exposing students to hands on interaction with stakeholder groups and projects advocacy through participation on city planning committees. The KCDC has received numerous professional awards and recognition for its urban vision studies that have played a significant catalytic role in promoting positive urban development in the city. The urban design studio is complemented by professional support and elective classes encompassing project programming, urban design theory, professional practice and real estate development. The KCDC is a joint academic program between Kansas State University and the University of Kansas, and program participants are eligible to take elective classes at the University of Missouri- Kansas City. Enrollment in the KCDC is available through Global Campus at Kansas State University. 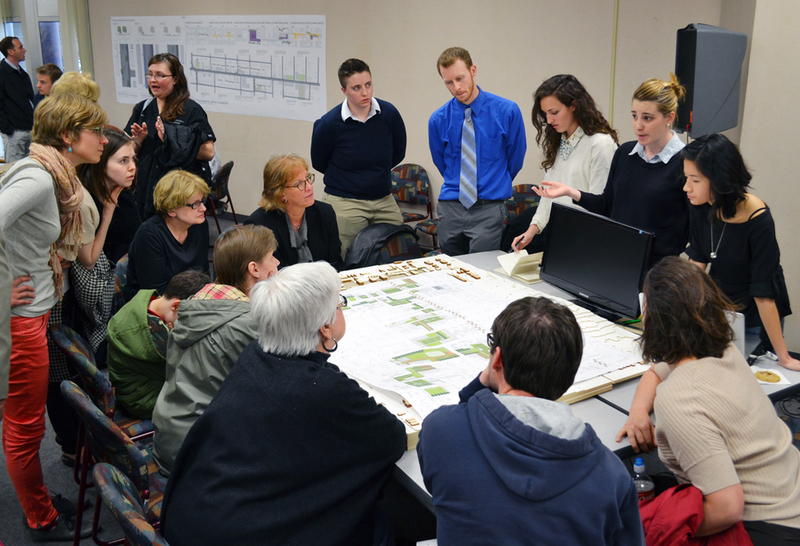 The urban design studio is a five credit hour course with a two credit hour project programming complement course. All other seminar classes at the KCDC are three credit hours. All courses are available for graduate level credit. For more information regarding enrollment, contact us. The work you’ll be doing at the KCDC urban design studio falls at an intersection of many disciplines including architecture, real estate development, urban planning, interior design, and landscape architecture. This exposure will broaden your design perspectives and help you create elegant solutions to complex problems in your professional career. KCDC students work directly with local government officials and offices like KC Parks and Recreation and the City Planning Department. When you leave KCDC, you will have a working knowledge of how projects go from proposal to implementation on a civic level. This knowledge is something that can take young design professionals years to gain. Cities are the meeting point of politics, culture, capital, technology, ideas, and people, and the KCDC is in the heart of one of the most dynamic metropoli in the region. Forbes Magazine ranked Kansas City as the #7 Down­town in America for its rich culture in arts, numer­ous fountains, upscale shopping, and various lo­cal cuisine. The KCDC offers an oppor­tunity to study in an exciting urban environment featuring significant projects in the field of design, including the Nelson-Atkins Museum of Art and the Kauffman Center for the Performing Arts. With over 80 architectural practices in Kansas City, there are always opportunities to interact with de­sign professionals. 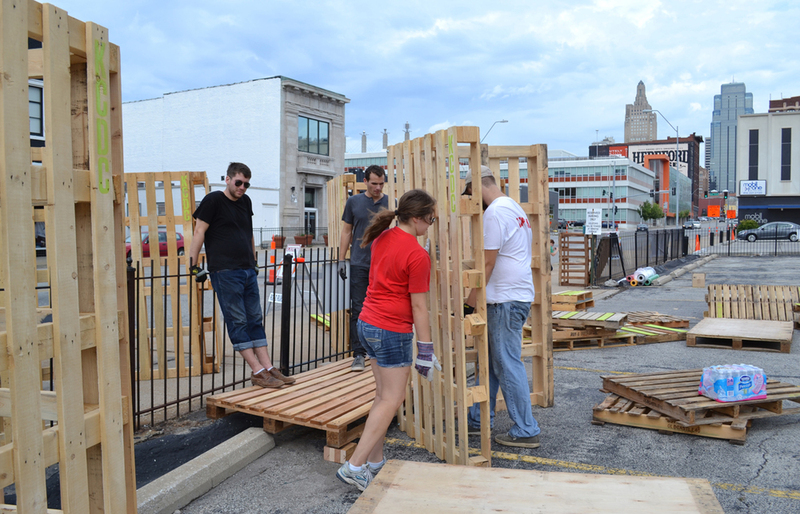 Network with architects at AIA Kansas City that could help you land an internship, or participate in a design charrette at Eco Abet which provides nonprofit organizations with access to design services that otherwise would be beyond their financial reach. The opportunities are endless. KCDC Director and Professor Vladimir Krstic has taught and lectured internationally and his teaching and research are focused on urban and architectural design and design theory. He is also is one of the leading experts on Japanese Contempo­rary Architecture and Urbanism and has extensively published on the subject. In 2012, he received the AIA KC Educator of the Year award for his work at KCDC. KCDC design charrettes are attended by architects and design professionals from internationally recognized firms such as BNIM, Helix, HOK, and Gould Evans as well as prominent civic leaders and local stakeholders. KCDC students also have the option to study supplementary courses at local universities, including a new program at UMKC where KCDC students will be able to earn a real estate certificate in tandem to their work at KCDC. All of our project partners are either non-profit agencies, community organizations, or local municipalities. The work you do at KCDC will directly contribute to the local community either by promoting awareness of underserved areas or by leading partners to solutions that can one day be implemented into the urban environment. Over the years, KCDC projects have garnered significant professional awards from ASLA Central States, AIA KC, and KCIC, as well as substantial praise from community members and stakeholders who see KCDC as an essential intuition to the success of Kansas City’s built environment. The work you do here lives on through the annual KCDC comprehensive project publication which development professionals often utilize as reference text for future projects. North America is the most urbanized region in the world where 82% of the population is considered urban. By 2060, 66% of the world’s population is projected to be urban. In a competitive job market, real-world experience in an urban design studio will give you a major advantage among other graduates entering the field.